Rent Hilton Palacio del Rio | Corporate Events | Wedding Locations, Event Spaces and Party Venues. If the River Walk is your primary destination, Hilton Palacio del Rio is the place to stay. Every room in our hacienda-style hotel has a balcony overlooking the River Walk or the city. - The Pavilion by Hilton: A limestone and wood structure built in the late 1800's, located in Hemis Fair Park. The historic building has been renovated into an elegant, self contained venue. - La Vista Ballroom: Floor to ceiling windows offer 360 degree views of the city skyline from our 22nd floor. 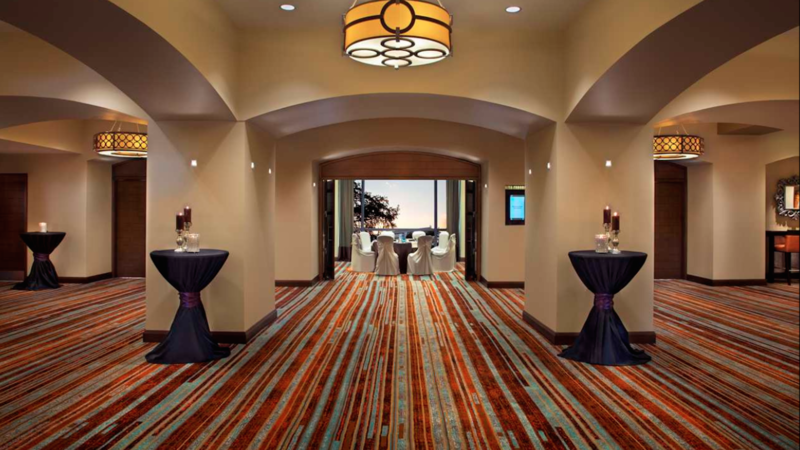 - Stetson: Romantic ballroom features floor-to-ceiling windows with gorgeous River Walk views. A beautiful San Antonio Wedding in the perfect River Walk location. Experience the newly completed $35 million redesign!Nothing will make you happier than celebrating your special day along the romantic River Walk at the Hilton Palacio Del Rio. We have the perfect location for every style, offering fabulous views of the River Walk and Downtown Skyline. As the longest Four Diamond award-winning hotel in San Antonio, the Palacio del Rio offers delightful meals, polished service & superior guest rooms.